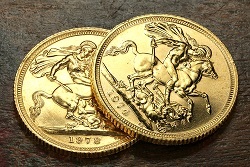 The physical ownership of gold bullion bars and coins gives investors the ultimate control over their wealth. Instead of trusting third parties and handing your money over to a fund manager, or even leaving it in the bank, holding your gold at home or in secure storage gives you true control, ownership and responsibility over your own future instead of relying on others to do so. This control can only be achieved through owning physical gold bars and coins, not paper gold or electronic gold (ETFs). This control even extends to choosing how, where and when to release the value of part or all of the value of your investment. 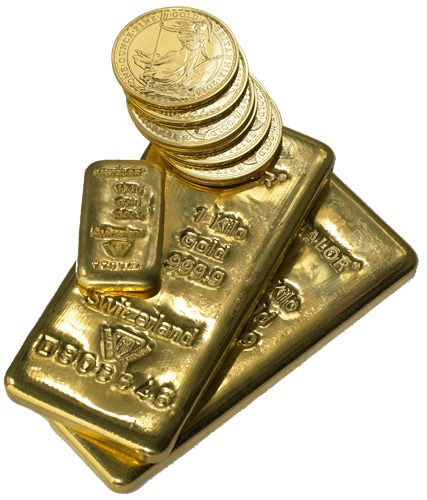 Hundreds of bullion dealers are willing to buy your gold instantly over the telephone. 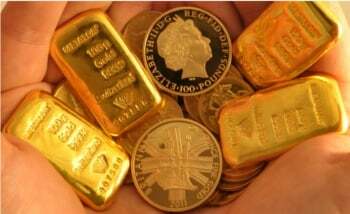 Investors can realise the value of the gold in just a few minutes and get a bank transfer or instant cash payment onsite the very same day.